Usually, the new year brings hope for both personal and societal development. However, in President Donald Trump’s highly contentious administration, most folks arguably have trepidation. Certainly, the markets are providing no favors, wavering between fear and greed over the past few months. In such circumstances, finding the best stocks to invest in presents extraordinary challenges. If I didn’t have a protocol to abide by, I could write short novels about every fundamental headwind. But to keep it brief, we can summarize the mania on Wall Street with one word: ambiguity. While some factors suggest that the U.S. is on the recovery track — making American blue chips the best stocks to buy — other indicators propose caution. For instance, benchmark indices ticked up recently due to a spate of corporate earnings releases. So far, we’ve seen several organizations post better-than-expected results. That tempts the case for blue-chip stocks to invest in. But on the other hand, the percentage of earnings-beaters is below the trailing five-year average, according to Factset. Another pressing issue is the fractious discourse in Washington. Congressional negotiators must reach an agreement about border security quickly. If the controversial issue falls into an impasse, the American people, particularly federal workers and service members, will again suffer an embarrassing and painful government shutdown. On top of that, we still have trade tensions with China. While U.S. and Chinese officials recently met for talks, government representatives from either side have disclosed nothing substantive. The president remains hopeful that he can hash something out with his counterpart, Chinese President Xi Jinping. But talking is one thing; doing is quite another. When you flip the switch, you expect the lights to turn on. Anything else in this digitally integrated society is an unacceptable failure. That’s why in uncertain times, the best stocks to invest in are found in the utility sector. And within this category, Duke Energy (NYSE:DUK) stands out. While so many other companies failed to generate any momentum last year, DUK stock offered a much-needed respite for investors. After absorbing a sharp dip in January, shares gained almost 18% between February and December. It’s still maintaining that momentum this year, while also paying out a generous 4.2% dividend yield. Admittedly, DUK made unfortunate headlines recently after a regulatory agency fined the utility firm for cybersecurity violations. While the optics look bad, also note that Duke self-reported a majority of the violations. Moreover, I doubt that a fine will ultimately detract from the company’s strong fundamental case. Next in line among the best stocks to invest in are telecommunications companies. Like the utilities sector, people today have basic expectations about their smart devices and internet connectivity. Additionally, telecom firms usually pay out a handsome dividend, offering shelter and protection during uncertain times. This is an accurate descriptor for Verizon Communications (NYSE:VZ). One of the biggest telecoms in the world, VZ currently has a 4.5% dividend yield. Moreover, it has escaped the worst of the volatility last year, even compared against other telecoms. In 2018, VZ gained a respectable 11%. Best of all, Verizon is a leader in the emerging 5G network. 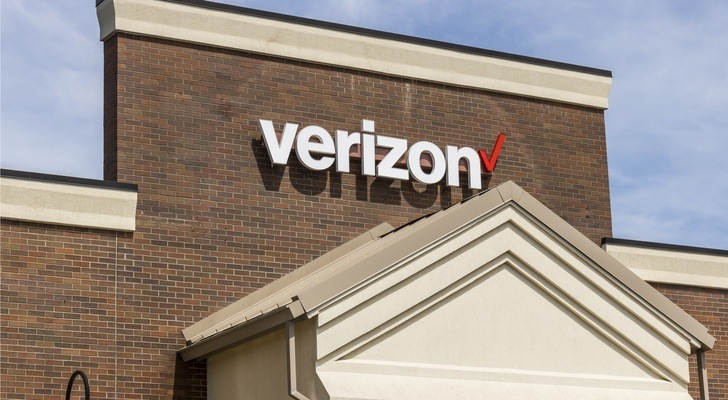 Last October, VZ became the world’s first commercial 5G provider. While much work remains, levering that first-to-market advantage could prove pivotal. Food companies represent some of the best stocks to buy during ambiguous market phases for an obvious reason: people have to eat. Indeed, no other commodity is as intricately linked to survival as food. That said, we also eat for enjoyment, bolstering the case for Campbell Soup (NYSE:CPB). I concede right off the bat that other, potentially superior options exist. After all, CPB stock hemorrhaged over 29% in 2018. The fact that shares are up over 5% year-to-date doesn’t justify putting CPB in a list of stocks to invest in. Plus, one of the bearish catalysts is poor soup sales, a killer when your name is Campbell Soup. That said, I think the volatility is overdone. We’re seeing a significant tick up in revenue as Campbell leverages its other food and beverage brands. Plus, that 4% dividend yield looks mighty attractive right now. It’s the ultimate defensive investment. 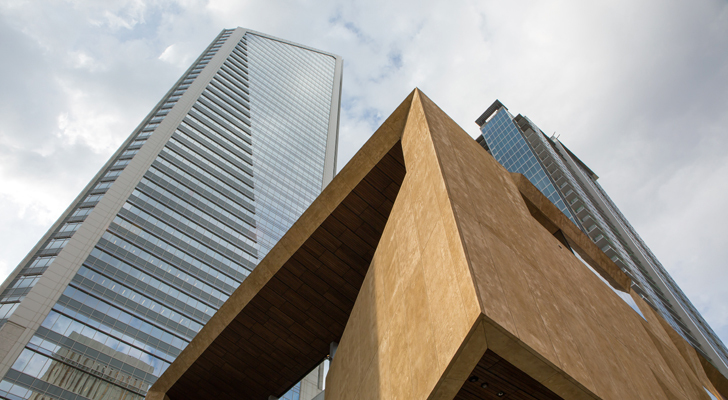 Not subject to central-banking authorities, gold remains impervious to devaluation. Instead, if the worst happens, gold could theoretically replace any currency as a universally accepted form of payment and value. Of course, lugging around gold bars is neither practical nor safe. For those who want to have the convenience of equity ownership and the profitability potential of an exciting market sector, you should consider Kirkland Lake Gold (NYSE:KL). KL is one of the best stocks to invest in among gold miners, levering a market capitalization nearing $7 billion. A highlight for KL stock is an explosion in revenue and profitability metrics in recent years. As a result, shares have skyrocketed over 23% YTD. While you’re admittedly buying into strength, I believe gold prices are on a resurgence due to the fear trade. If so, put Kirkland in your list of stocks to buy. Out of the stocks mentioned on this list, H&R Block (NYSE:HRB) likely perplexes people the most. With so much talk about changing the tax code last year, this catalyst should boost HRB stock. Plus, with tax season coming up, you’d expect a decent showing. Unfortunately, that’s not what’s going on at all. Since the January opener, HRB has dropped nearly 6%. A weak technical response to the volatility suggests more nearer-term pressure. So what’s the deal here? While the president did push for change, it’s the type that doesn’t favor H&R Block; namely, a simpler tax code. That’s a death sentence for a company that thrives on making complex tasks easier for clients. But not so fast! In the digital age, we’re witnessing a growing transition towards contract work in the labor market. Essentially, these folks are in business for themselves, which requires a complicated tax procedure. HRB presents risks and requires patience, but it’s something to check out. 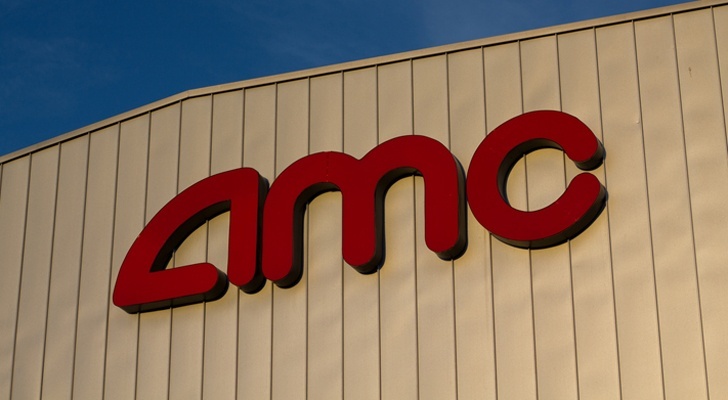 In the streaming age, you’d expect cineplex operators like AMC Entertainment (NYSE:AMC) to stumble. Indeed, AMC stock in the past caused stakeholders substantial pain. Even recently, shares have disappointed, along with most other retail-related organizations. However, during a period of ambiguity and trepidation, AMC represents one of the best stocks to invest in. Primarily, people seek escapism during troubled times to cope with everyday realities. Not only does AMC provide that opportunity, it does so cheaply relative to other forms of entertainment. As I mentioned last summer, going to the movies is much cheaper than attending either a football or baseball game. Here’s the kicker: the film industry still offers financial viability. It’s not that people aren’t going to the big screen. Rather, they wish to see certain types of films, typically comic-book based or science-fiction blockbusters. Fortunately, companies like Disney (NYSE:DIS) and Sony (NYSE:SNE) are giving movie-goers exactly what they want, thereby lifting AMC. As we head into the speculative portion of our list of stocks to invest in, I like Vector Group (NYSE:VGR) for anyone who doesn’t mind ramping up the risk. VGR stock provides exposure to multiple cigarette brands, as well as the e-cigarette brand, Zoom E-Cigs. This is an incredibly cynical argument but let’s be real: smoking cigarettes represents a quick and easy distraction from stress. I know a few colleagues who have smoked like a chimney over the last two years for understandable reasons. Plus, with the way things are going, we may see a natural rise in interest in vice stocks. Of course, if you’re a conservative investor, you should opt for the traditional names: Philip Morris International (NYSE:PM), Altria Group (NYSE:MO) or British American Tobacco (NYSE:BTI). However, if you want upside potential along with exposure to e-cigarettes, I’d look carefully at VGR. Unlike tobacco, alcohol represents a universal vice. In both personal and professional functions, going out for drinks is commonplace. Invariably, should market conditions become even more fractured, we’re likely to see a spike in imbibing. 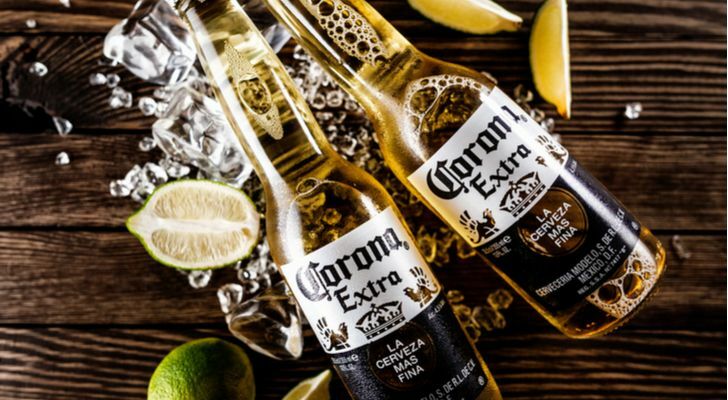 Therefore, Constellation Brands (NYSE:STZ) is one of the best stocks to invest in at this juncture. More importantly, STZ stock benefits from demographic trends. Younger people increasingly gravitate towards spirits and wines, areas in which Constellation Brands specializes. This consumer behavior is especially noticeable among women. Additionally, when young drinkers try beer, they prefer higher-quality variations. Again, STZ provides expertise in this department. As a firearms manufacturer, Sturm Ruger (NYSE:RGR) finds itself in multiple controversies. However, as a form of escapism and stress management, RGR is one of the best stocks to buy. Firing off a few rounds with an AR-15 is exhilarating, and makes you appreciate the fragility of life. But that’s not the reason why I like RGR stock. Instead, I believe Ruger offers a profitable way to advantage rancor in Washington. Specifically, I have doubts that Trump and the Republicans can pull off a surprise victory come 2020. Undoubtedly, many of you are happy to hear that. But a sizable portion of the American electorate loves Trump, and even more so, love their guns. Any threat to the Second Amendment almost guarantees a spike in firearm sales. That threat has a name: Senator Kamala Harris. To many gun advocates, Harris is as liberal as the day is long. The National Rifle Association rates her very poorly on firearms rights. Obviously, Harris is bad news for Ruger gun owners. However, she’s a godsend for Ruger stakeholders! As of this writing, Josh Enomoto is long gold, AMC and SNE. 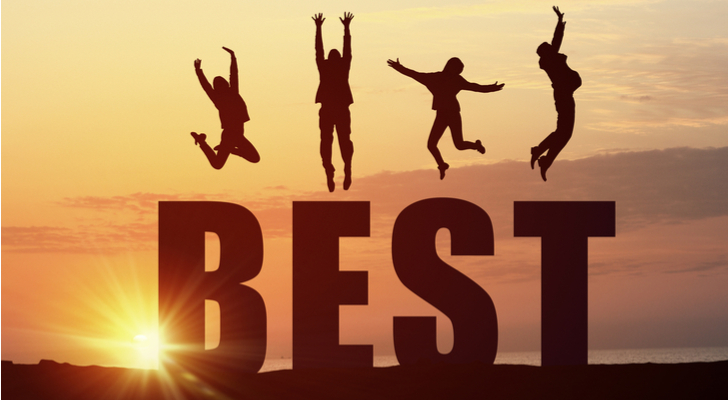 Article printed from InvestorPlace Media, https://investorplace.com/2019/02/the-9-best-stocks-to-invest-in-during-a-manic-market/.